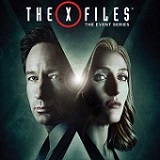 Almost 14 years after the original series run, the next mind-bending chapter of "The X-Files" is a thrilling, six-episode event series from creator/executive producer Chris Carter, with stars David Duchovny and Gillian Anderson reinhabiting their roles as iconic FBI agents Fox Mulder and Dana Scully. Mitch Pileggi also returns as FBI Assistant Director Walter Skinner, Mulder and Scully's boss, who walks a fine line between loyalty to these investigators and accountability to his superiors. 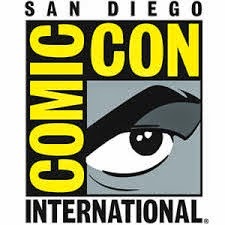 This marks the momentous return of the Emmy- and Golden Globe Award-winning pop culture phenomenon, which remains one of the longest-running sci-fi series in network television history. After a nine year run on television, two feature films, and an eight year absence, "The X-Files" has finally returned to bring us more monsters, conspiracies, mysteries, and humor in what's been called The Event Series. It's really just the long awaited (and shortened) season 10 and it does what the series did years ago - it's a mix of mythology focused episodes along with some monster of the week stand alone episodes. It's a smart plan as this season gives something to everyone as some fans prefer the mythology episodes while others (like myself) prefer the standalone episodes. 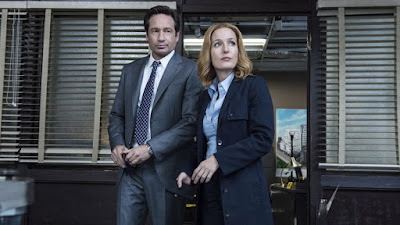 The first and fifth and last episodes are written and directed by series creator Chris Carter and the first episode, "My Struggle," is focused on Fox Mulder (David Duchovny) who no longer "believes" and has lost his faith and ambition. The opening sequence gives us a recap of what's gone on before including how he partnered up with Dana Scully (Gillian Anderson) whose skepticism kept him in check. 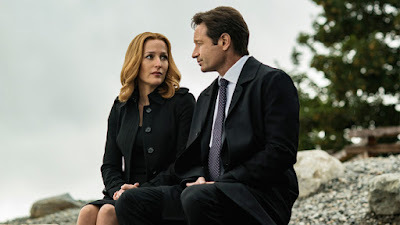 After the events of the last film, I Want To Believe," Mulder and Scully have broken up and gone their separate ways until she contacts him to meet Ted O'Malley (Joel McHale) per the request of their former boss Walter Skinner (Mitch Pileggi). O'Malley believes that the alien invasion that Mulder and Scully previously worked against was just a smokescreen for the U.S. government's illicit activities and he claims to have proof. By the end of this episode the X-Files have been reopened. 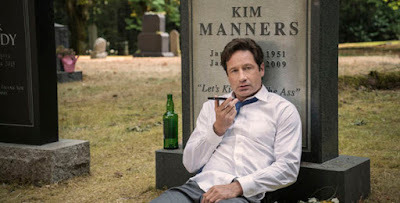 The second episode, "Founders Mutation," Mulder and Scully are brought into investigate the death of a research doctor at a company called Nugenics. The man went crazy when a high pitched noise drove him to commit suicide by stabbing himself in the ear with a letter opener. Despite the fact that Nugenics has some pull with the Department of Defense. Skinner tells Mulder and Scully to investigate it unofficially which leads them to unravel the company's dark secrets of experimental testing on babies and children. The third episode, "Mulder and Scully Meet the Were-Monster,"is by far the best one of this batch and indeed one of the top ones for the entire series. Written and directed by Darin Morgan (who previously gave us the classics "Humbug" and "Clyde Bruckman's Final Repose" which paved the way for this humorous follow up. Playing on the usual trope of a werewolf biting a human to turn them, this time a human bites a lizard and the lizard (played perfectly by Rhys Darby) becomes a human aptly named Guy Mann. I loved this episode and I don't want to spoil it so I will leave it at that, but I will say that longtime fans of the show will appreciate the many call outs and easter eggs it offers. The fourth episode, "Home Again," wasn't the sequel to the classic episode "Home" liked I was hoping for, but it was a great example of the type of monster stories that made the "X-Files" so popular. In this one, Mulder an Scully investigate the murder of a city official which can't be explained. They soon learn of a rumored killer known as the Band-Aid Man who seems to target officials that have shown no empathy for the homeless. The only problem is that Band-Aid Man is a creation of a street artist known as Trashman who drew the figure as a symbol for the homeless. The fifth episode, "Babylon," goes into controversial territory as it's a story about Islamic suicide bombers who blow up an art gallery in Texas because of artwork has depictions of Muhammed. One of the two bombers survive the blast but is left in a vegetative state and Mulder is determined to try to communicate with him. Mulder convinces junior agent Einstein (Lauren Ambrose) to give him a mushroom that makes Mulder high (and gives us a hilarious extended scene of him line dancing at a local saloon), in the hope that he can reach him. This episode seems like another attempt to introduce new characters that could take over in the event that Duchovny and Anderson decide to leave. It didn't work before and it won't this time either. 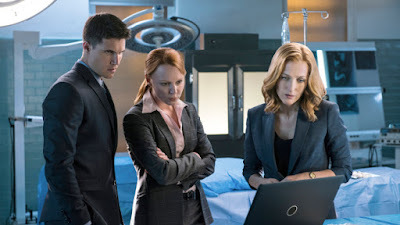 This time Robbie Amell is the Mulder-lite Agent Miller and Lauren Ambrose is the Scully-lite Einstein. The sixth and final episode of the set is "My Struggle II," which bookends the opening episode and is more focused on Dana Scully. This episode takes place a month an a half after the first episode and it kicks off with Scully investigating Mulder's disappearance. Tad O"Malley had an an appointment to meet Mulder at his house but Mulder wasn't there and his apartment is trashed as a result of a fight. O"Malley tells Scully that he believes alien DNA has been injected into every American in preparation of the planned overthrow of America by an influential secret group. This contagion called the Spartan Virus has been engineered to strip every citizen's immune system away. It's up to Scully and Einstein to discover the cure while Mulder goes on his own mission that involves a certain cigarette smoking man. I enjoyed this event series and Duchovny and Anderson still have that undeniable chemistry that's always powered the show. I have to say that my least favorite episodes of this batch are the mythology ones which include a twist that I think actually contradicts what happened in the series before. It's one thing to show us a clever twist that proves that we were looking at it wrong all along and another to just tell us that everything we saw was wrong. It insults the intelligence of the fans if you don't even bother to illustrate it. That aside, I did love "Mulder and Scully Meet the Were-Monster" which is one of the best episodes ever. The other ones were pretty good too and I'd love to see an eleventh season in the future. The cast is just as good as always, but I hope they spend more time on the scripts next time. This 1080p (1.78:1) transfer looks excellent and offers a nice cinematic feel that continues the style and look of what's come before. As soon as you see those flashlight beams cross in the darkness, you know that you're back in X-Files territory and the images are nice and crisp. Colors are varied and accurate and the black levels are solid and inky which is needed for this show. 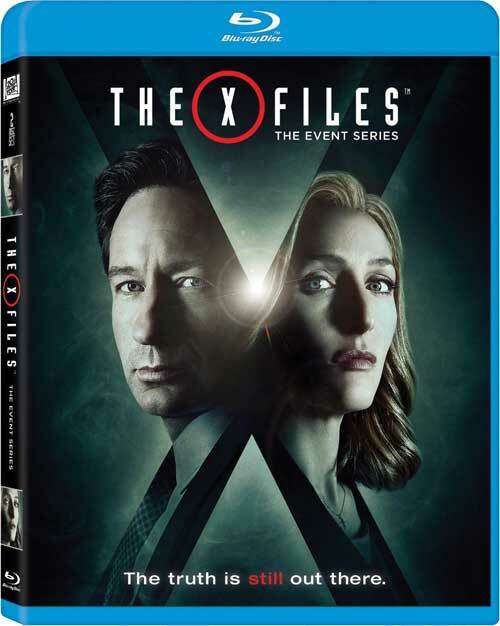 The X-Files: The Event Series' DTS-HD Master Audio 5.1 track is also very good, especially for a television show. There's a lot of nice surround activity and the directionality is accurate. I would have liked a little more of a punch in certain scenes, but overall this is an excellent lossless track. Dialogue is clear and there's no distortion to speak of. 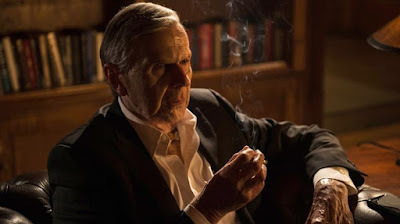 Commentary on "Founder's Mutation" - Series creator Chris Carter and writer/director James Wong talk about the episode. Commentary on "Mulder and Scully Meet the Were-Monster" - This is a fun commentary with David Duchovny, Gillian Anderson, Kumail Nunjiani and Darin Morgan although it sounds like Duchovny and Anderson recorded theirs without the other two present. It's great to hear Duchovny and Anderson have fun during their commentary but it didn't help that they hadn't seen the episode until this recording which distracts them as they enjoy watching it as much as we do. Commentary on "My Struggle II" - This track features writer/director Chris Carter and Gabe Rotter. Deleted Scenes- At a little over five minutes long, this collection of scenes are interesting to watch but really wouldn't have added a whole lot to the final episodes although I did enjoy the extended cut of Mulder dancing in the saloon. 43:45 - The Making of a Struggle - This is an in depth look at what it took to bring the show back and we hear from everyone involved. This was my favorite extra included. Season X - We get an episode by episode look that's filled with details as well as a look back and a glimpse into teh future too. .
Gag Reel - A short collection of clips showing the cast messing up and having fun. Monster of the Week: A Recap of the Wildest and Scariest from the Original Series - A list put together by host Kumail Nunjiani. For the most part I agreed with him, but everyone has an opinion. The X-Files: Green Production - An almost three minute look at how the production tried to be ecologically aware in their waste and recycling efforts. Short Film: Grace - A short film by the series' script coordinator KAren Nielsen that shows that little girls may not be quite as helpless as they may appear. If you are a fan of the X-Files then you need to pick this set up! The cast is in fine form and picked up where they left off effortlessly, but the scripts by Chris Carter could have been better. The episode written and directed by Darin Morgan belongs in the X-Files hall of fame. The Blu-ray itself offers excellent video and audio quality and the extras are also very good. This set is highly recommended!